MADE.COM believes that great design is for everyone. It surprises, tells a story and makes the everyday a little less ordinary. They design for how people live today. Here, RLI sits down with CEO Philipe Chainieux to discuss what the next steps are for the growing company. The idea for MADE.COM originated when Founder Ning Li began trying to fit out his own flat in Paris. Ning was frustrated that there was no well-designed, inexpensive furniture, not just inexpensive. United by their appreciation of good design, the team set about re-defining the process. The concept was obvious: simplify things, work directly with the makers and bring high-end design to everyone, everywhere at a fair price. The company currently has six permanent showrooms in London, Liverpool, Leeds, Paris, Berlin and Amsterdam. In addition, MADE exists in nine territories across Europe and there are plans to finalise its European expansion over the next three years. The company’s Paris showroom on Rue Etienne Marcel recently won the Design Week Award for best retail interiors, and was also voted one of the coolest spots to hang out by Time Out. 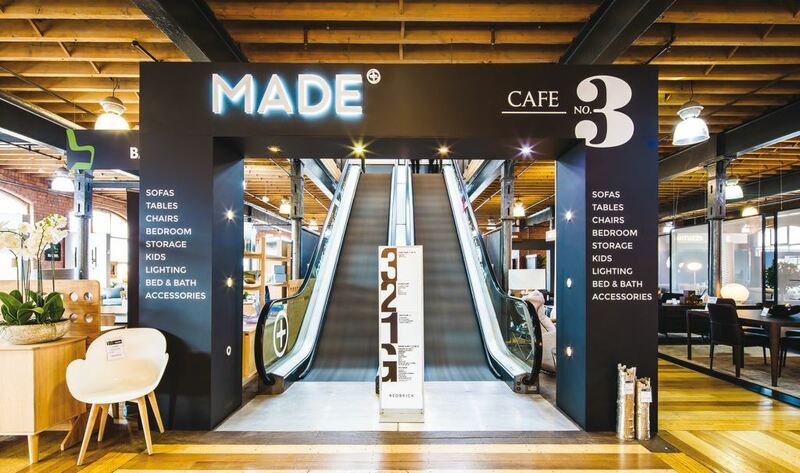 “The last 12 months have been a very exciting time of growth for MADE,” says Philipe Chainieux, CEO of MADE.COM. “In September we announced our launch into Spain, our ninth market and a key geography for the business. The team’s ability to recognise and capitalise on international opportunities is reflective of our agile business model and ability to leverage key strategic markets.” Founded in London and launched in the UK in April 2010, MADE has always had a strong international outlook, based on the French, Chinese and South African roots of its founders. Today, with over 400 employees and 30 different nationalities in the London office alone MADE is a truly global story. Currently the Soho showroom is undergoing a complete revamp. Through this the space will double in size and will incorporate a lot of innovative new technology for shoppers who wish to engage with it, as well as experiential elements – the showroom will feature regular workshops and events that feel very different to a standard retail experience. The Soho showroom will become the model for MADE’s showrooms across Europe. “Over the last few years, we have invested a significant amount in technology to create an online platform that can be scaled to support our rapid growth geographically and in terms of range. Unlike traditional, bi-annual, seasonal releases, we release up to 40 new SKUs each week and new lines can take just four months to reach the market,” says Chainieux. The company has set itself an ambitious target to double its market presence and complete its European footprint over the next three years. Its agile business model allows the business to adapt quickly to changing trends and MADE is confident in its ability to reach this target. “In the coming 12-18 months, investment in technology will continue to be a priority for the business. Over the next three years, we intend to double our investment in technology to continue to improve efficiency and the customer experience in each market,” explains Chainieux. To ensure its business is consistently at the forefront of the latest trends in design and retail, MADE has also created TalentLAB, which is a crowd-sourced and crowd-funded platform that is set to revolutionise and democratise the way designers sell, and consumers buy, designed products. The global appeal of MADE’s designs is apparent with its expansion into new markets without having to change its offer to suit additional territories. “We have invested significant resource into understanding the cultural and manufacturing capabilities of each of our target geographies. For example, after recognising the uniqueness of Portugal’s ceramic industry, we now source much of our ceramics offer from factories in Alobaca, outside Lisbon. We also source glassware and cutlery from Italy, textiles from Turkey, and rugs from India. We know that responsible sourcing and making informed choices is important to many of our consumers, and so this remains an important part of our model,” explains Chainieux. Social media is a key part of the company’s marketing and growth strategy. As structural changes sweep across the retail industry, and businesses are increasingly moving from the high street to online, the ways consumers engage with brands is becoming increasingly digital so the company has reacted accordingly as the importance of social media mediums has grown.